Most of us are stuck. Stuck with work because it is stable and lets you earn big. Stuck with a relationship that hinders your growth. Perhaps you are stuck with pursuing a course in the University because you were told it’s “in” nowadays. For how long will you continue to let it happen? I’m not sure just how many people work on 9 to 5 schedule or 40 hour work week nowadays but people who often do so are often thought to have stable, well-established lives. Because of this perception, it’s what most people aim for. Not everyone though gets a chance to be successful at this. In the Philippines alone, the number of graduates far outweighs the job vacancies available. Minimum wagers complain about not earning enough to sustain their daily expenses. The profession that pays more (like call centers) have competitive environments. Single-parent families are not only challenged to stay on top of daily expenses but also with time. Traffic conditions make it difficult to travel and arrive on time for work. Despite this, until driven by unfortunate circumstances, most of us strive in looking and working for what we’re told were the best kind of work to have – Full-time corporate jobs. This is one of the reasons this site was built – To create awareness and educate fellow Filipinos on an alternative and start earning online, at the comfort of their homes. 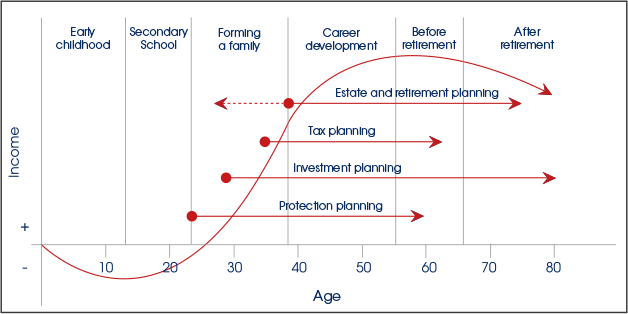 The life cycle of personal financial planning consists of roughly 20 years in studies, 40 years of work and if you’ve planned well and saved enough during your work years, spend what you can and want after retirement. This is why everybody looks forward to retirement. It is when they see themselves, enjoying and having time for themselves, spending money for their wants and not just their needs. Finally being able to spend as much time with family and loved ones. What if I tell you, you don’t need to wait that long to live a life that you dream of? Imagine being able to work from home or just about anywhere, away from the traffic or nuisances of corporate life while being able to decide for yourself, when you need to take a break, spend time on vacation and do the things you want on your own terms? It’s time to take a step back, re-evaluate your life and check work alternatives that can fit your lifestyle. Find out if freelancing is for you. If this is something you are open to finding out more, then stay on as we take you to the ins and out of Freelancing. Are you ready to jumpstart your freelancing career? What Do I Need To Get Started With Freelancing? Your work from home buddy and overall guide to jumpstart your freelancing career and experience the laptop lifestyle.